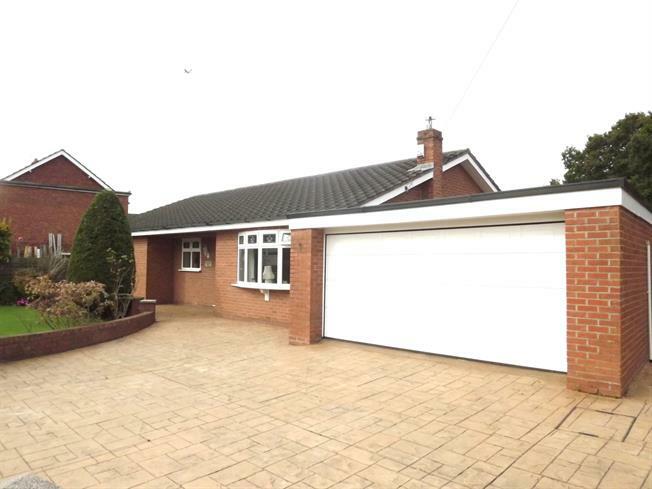 3 Bedroom Detached Bungalow For Sale in Stockport for Asking Price £350,000. Constructed in around 1980 this fantastic bungalow is ideal for a family or someone looking to upsize, internally it is very well maintained and is comprised of; entrance hall, large lounge, dining room, two double bedrooms, a third single bedroom, good size kitchen, bathroom and a utility room to the rear. Externally there is a fabulous garden at the rear which isn't overlooked and at the front there is another lovely garden, a good size driveway and a garage.